Interactions are touch points with your contacts, you can log every time you communicate with them so you never lose track. Unlike some other systems Business Central uses Microsoft Outlook to store the emails rather than bringing them into the database. This means that Business Central is never slowed down by the vast quantities of emails business generate, its in the right dedicated place. The email is moved to a central protected stored folder, then Business Central stores a link to the email in Outlook. If you need to see the email, simply click the link. Create campaigns to your customers and contacts. Create segments (filter by any of the contact information) e.g. All contacts from the North West. Integration with Bulk Email service providers such as Mail Chimp, Campaign monitor etc. Multiple stages for each opportunity E.g. Stage 1 – Initial Contact, Stage 2 – Meeting, stage 3 – Quote. Templated To Dos. For each stage you can create a list of actions that need to be completed before moving to the next stage i.e. Stage 1: Activity 1 – Make Phone call. Activity 2: Verify quality of lead. Sales pipeline reporting track opportunities by stage, value etc. Create personal tasks – shown on your dash-board or in a calendar, you can create repeatable tasks that can be sent to other to complete. Create business tasks (To Dos) – Create a business task and log it to a customer i.e. Call OneNAV. Give this task, parameters such as date, saleperson etc. Business Central has the concept of Interaction Templates. These templates can be set up for any touch point you have with a contact, from simple things like a Letter or Complimentary slip, all the way to customised Quote templates using Microsoft Word as the editor. Design great looking customer facing documents using your layout and images. Interactions – Each can be opened to view the content by clicking show attachment. 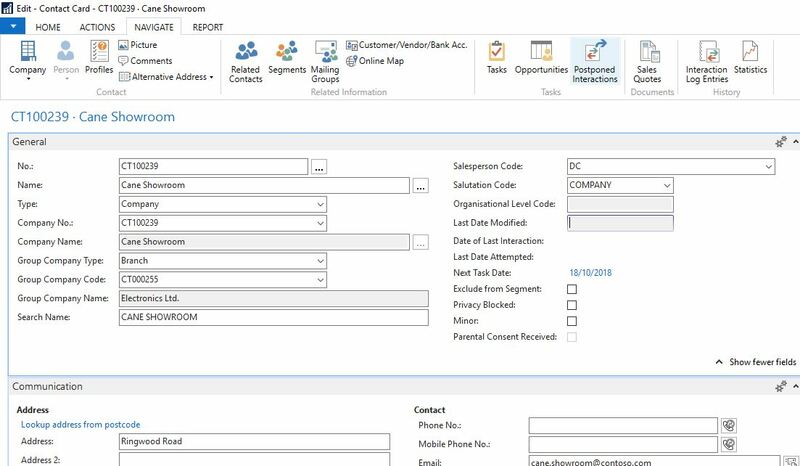 As you can see the Business Central CRM features are extensive and perfect for SMBs. As the CRM is built into Business central you get all the benefits of an integrated system, and best of all its all standard with the monthly subscription of Business Central. 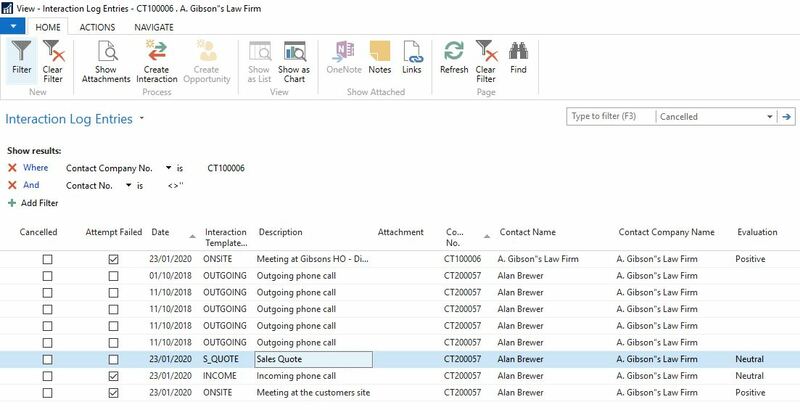 If you ever require more CRM features then Business Central integrates into Dynamics 365 for Sales.